How can I take advantage of this opportunity? 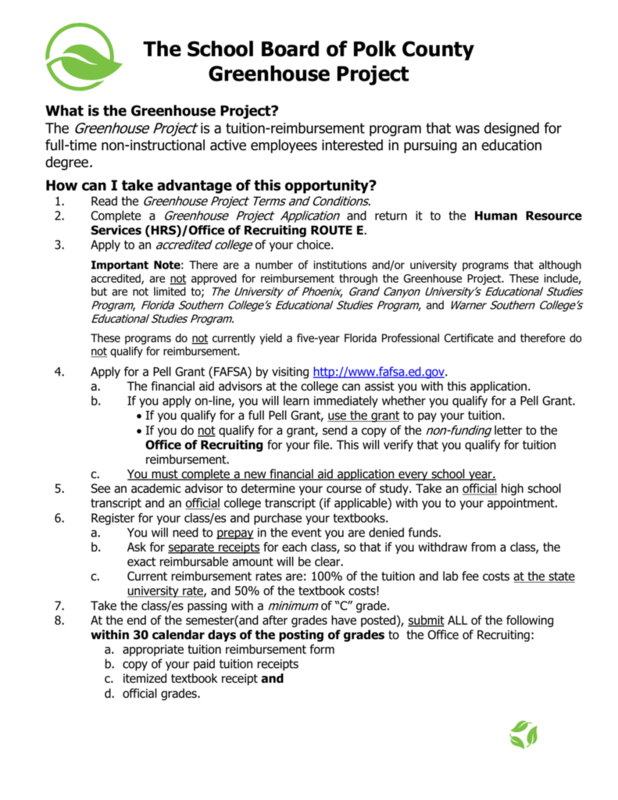 Read the Greenhouse Project Terms and Conditions. Services (HRS)/Office of Recruiting ROUTE E.
Apply to an accredited college of your choice. 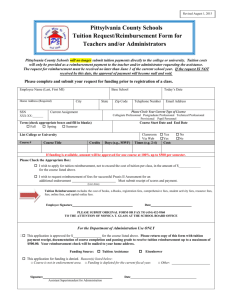 Apply for a Pell Grant (FAFSA) by visiting http://www.fafsa.ed.gov. 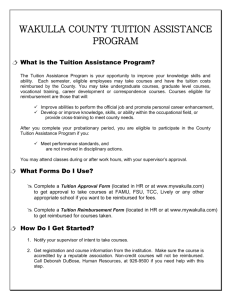 The financial aid advisors at the college can assist you with this application. 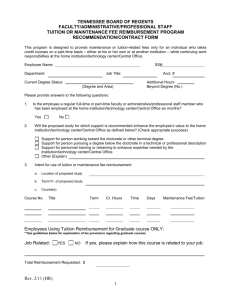 If you apply on-line, you will learn immediately whether you qualify for a Pell Grant.  If you qualify for a full Pell Grant, use the grant to pay your tuition. You must complete a new financial aid application every school year. transcript and an official college transcript (if applicable) with you to your appointment. Register for your class/es and purchase your textbooks. You will need to prepay in the event you are denied funds. exact reimbursable amount will be clear. university rate, and 50% of the textbook costs! Take the class/es passing with a minimum of “C” grade. 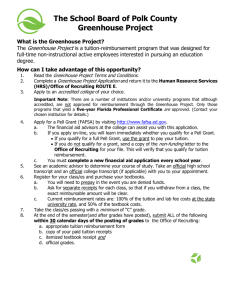 How did you hear about the Greenhouse Project (i.e., website, friend, etc.)? Education that will yield a State of Florida 5 yr. Professional Teaching Certificate upon graduation. must be received by Office of Recruiting in order for reimbursement to occur. immediate response, which he/she should print and submit a copy to the Office of Recruiting. statement of funding status indicating whether funding was obtained and, if so, the amount. Please √ all applicable items. □ I have attached a copy of additional grant funding for which I have applied. Non-instructional employees must be currently employed by Polk County School Board. 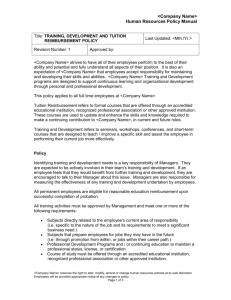 Application and submitting it to the Human Resource Services/ Office of Recruiting, Rte E.
Non-instructional employees must enroll in an institution of higher education. b. 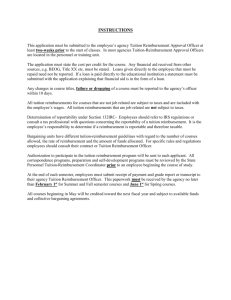 The completed Verification of Enrollment Form must be sent to the Office of Recruiting. 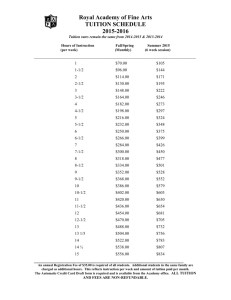 c. Reimbursement of tuition does not imply District responsibility for program availability or completion. Important Note: This program will not cover classes taken (in the past) or those in process. opportunities by completing and submitting a Free Application for Federal Student Aid (FAFSA). minimum of “C” or “pass” (if a pass/ fail system is used). to the Office of Recruiting within 30 calendar days of the posting of grades each term. 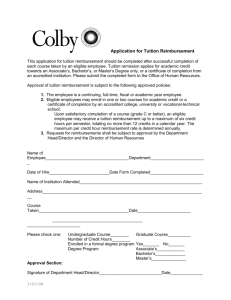 Important Note: This tuition and book reimbursement program does not apply to remedial courses. 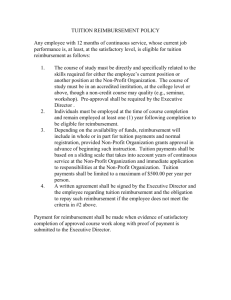 Collective Bargaining Agreement (CBA). 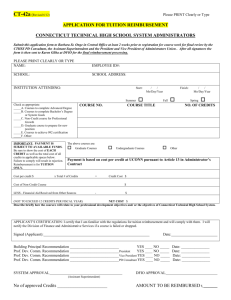 Please refer to page 6 of this packet for an details regarding credithour equivalents and information regarding time reimbursement credit. reimbursement. Time reimbursement shall not exceed a maximum of three years. aware that this program will not cover classes that I am currently completing or those already taken. program designed to assist me in becoming a teacher in Polk County Public Schools. the employee is receiving the tuition/book subsidy established in 9.3-1 or 9.3-2.
owes no further obligation to the District. 50% of textbook costs will be reimbursed.